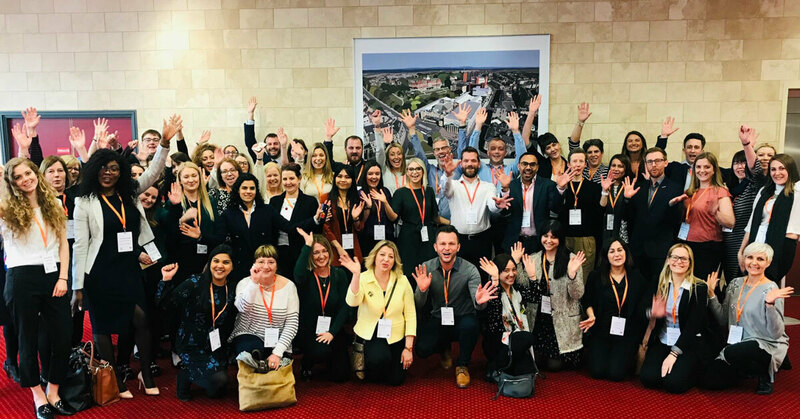 ICCA - the International Congress and Convention Association for the UK and Ireland recently hosted their 2019 Chapter meeting in Harrogate. This association represents the world's leading suppliers within the international events industry, which brings members together to network, share and learn industry knowledge. Attending the ICCA UK & Ireland Chapter Meeting this year, I wasn’t the only one in the newbie corner. In fact, I was joined by a lot of new faces and we were literally welcomed with open arms by the regular attendees and extended ICCA family. Throughout the course of the two days I was given the greatest opportunity to network with like-minded professionals, share our common opportunities and challenges, whilst also hearing from keynote speakers with a wealth of experience in the industry. Both days were jam packed with keynote speakers including a warm welcome from the team at ICCA UK & Ireland. Psychological insights were delivered by one of Northern Ireland’s own, the ever popular David Meade while festival guru Sharon Canavar from Harrogate International Festivals provided expert advice on creating a city legacy! We heard from the next generation of industry leaders who entered the ICCA UK & Ireland millennials competition to win their place at the 58th ICCA Congress in Houston later this year. The shortlisted entries were phenomenal and a massive congratulations to Jack Owens from Fáilte Ireland, on scooping the coveted place. 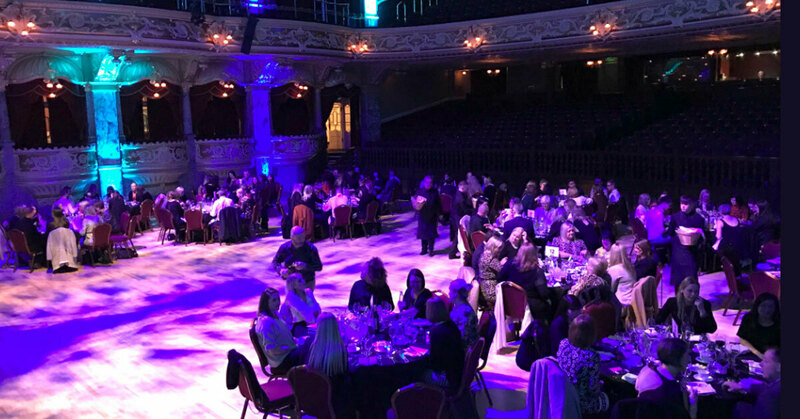 The evening was spent at the beautiful Royal Hall where we indulged on exceptional food, drinks and entertainment from the Globe Girls. As we regrouped the following morning for some breakfast, Peter Dodd from ‘Welcome to Yorkshire’ showcased the famous UCI World Cycling Championship, while Adam Baggs provided insight on how first impressions count and the importance of getting your message right. The conference drew to a close with an emotional yet inspiring session from David Meade. 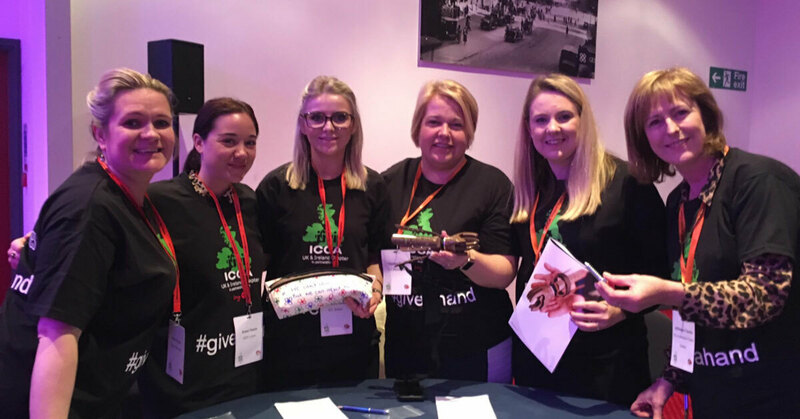 All delegates joined forces and divided into small groups to help build prosthetic hands that would be flown to Cambodia in aid of #giveahand foundation. It was truly inspirational! As a first time attendee to the ICCA UK & Ireland Chapter Meeting, it was a pleasure to be joined by such top class professionals and friends alike from all across the UK & Ireland. One of my key takeaways from the meeting was the inspiring talk delivered by Sharon Canavar, Chief Executive, Harrogate International Festivals. Sharon touched upon facing challenges, creating innovative solutions and delivering a legacy. The inspirational talk was based on driving delegate numbers, something that I strive to deliver day and daily, for both our entertainment promoters and conference organisers alike. Driving delegate numbers, creating an ever-lasting impression for visitors of ICC Belfast and delivering a legacy for the City of Belfast! It truly was an inspiring presentation. It’s not everyday you get to build a prosthetic hand which in two weeks time will be flown to Cambodia to meet its worthy recipient.